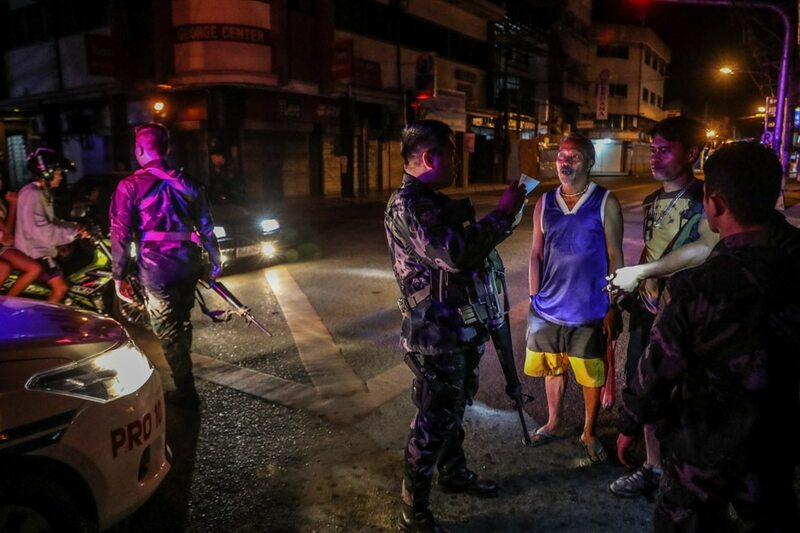 MANILA - (2nd UPDATE) President Rodrigo Duterte has approved the recommendation of the military and the police to extend martial law in Mindanao, the Palace confirmed Friday. In a text message, Executive Secretary Salvador Medialdea said Duterte already asked both chambers of Congress to allow the extension of martial law in the restive region. “The Senate President and House Speaker would call for a joint session probably on the President’s request for the extension of martial law,” Medialdea said. Medialdea also clarified that the extension sought, which will be the third, will last until the end of 2019 and will only cover Mindanao. Presidential Spokesperson Salvador Panelo said the martial rule in Mindanao has resulted in “substantial progress in addressing rebellion” in the region as well as “promoting the overall security and peace and order situation” there. “Despite these, however, rebellion still persists and the public safety compels our commander-in-chief to push through with the exercise of these constitutionally-sanctioned powers in order to serve and protect our nation and its people,” Panelo said in a statement. House Majority Leader Rolando Andaya Jr assured the Palace that lawmakers in the House of Representatives would grant another extension of martial law in Mindanao. "I think we're inclined to grant it... If we can have inputs from people from the ground, mas mapapabilis ang grant ng extension,” Andaya said. Senator Richard Gordon meanwhile said he would first like to get the military's explanation on how martial law was implemented in Mindanao this year before voting for another extension. “Ang disappointment ko lang sa martial law eh bakit nakakapangulimbat yung Abu Sayaff at meron pang naiipit sa crossfire ang Lumads… Dapat talaga may grand plan ang military para matapos ang problemang yan," he told reporters Friday. Martial law in Mindanao will expire by the end of the month after the extensions granted by Congress. Duterte first placed Mindanao under martial law in May 2017 after Islamic State-inspired terrorists laid siege on Marawi City for 5 months. Opposition lawmakers, leftist leaders, and several Marawi stakeholders had questioned the mid-2017 declaration of martial law in Mindanao before the Supreme Court, but the high court upheld the martial rule. Congress had allowed an extension of martial law up to the end of 2017 and another one up to the end of 2018. The Commission on Human Rights said it opposes the martial law extension, noting that security forces are fully capable of addressing lawless violence in the country. “The 1987 Constitution is also clear that only invasion and rebellion merit such declaration. As such, there has to be a strong reason should the government move for another extension—based on the sound recommendation of our Armed Forces of the Philippines and Philippine National Police on the real situation on the ground,” said CHR Spokesperson Jacqueline Dew Guia in a statement. Are Ylona Garcia, Ne-Yo doing a collaboration?